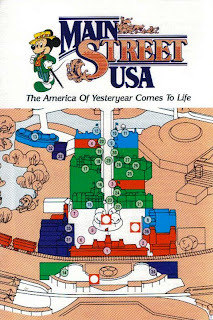 One of the joys of visiting Walt Disney World during its first few decades were the guide books available to walk guests through attractions, shows, dining, and shopping options. 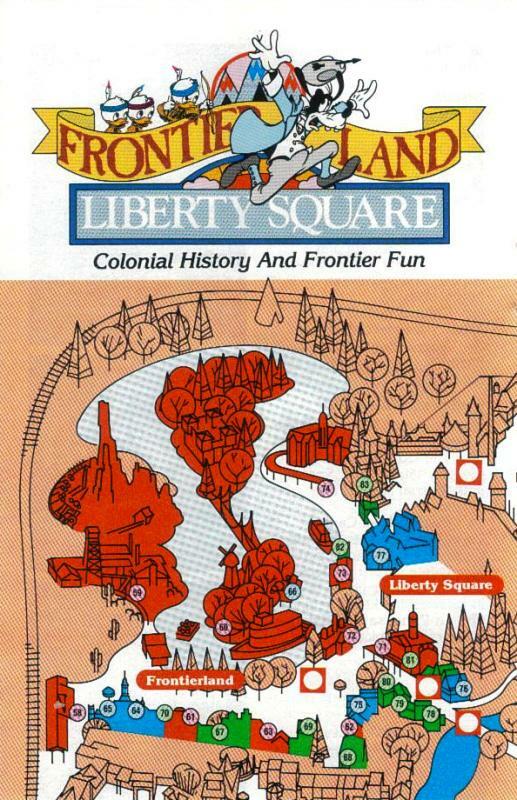 These pamphlets not only included a double page map of the park, but they also included full pages dedicated to lands or pavilions of a park. Each exploration included blurbs about the variety of experiences available in the area, photographs, and easy to read directional map. Perhaps the most memorable section of the maps, at least in my own memory, is the clever use of characters and slogans for each land in the Magic Kingdom. Shere Khan and Mickey in safari gear perched above the phrase ‘Adventures In Far-Off Lands,’ tell the tale of Adventureland, while Huey, Dewey, and Louie, dressed in Native American outfits, startled a cowboy garbed Goofy in a Liberty Square and Frontierland model that claims ‘Colonial History And Frontier Fun.’ This use of classic characters and imaginative wordplay served to beckon guests in and left a lasting impression. 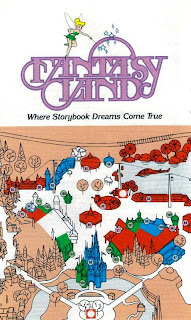 The thick guide books harkens back to a simpler day when a ride aboard a runaway mine train was all that was needed to make or break a successful visit to Walt Disney World. 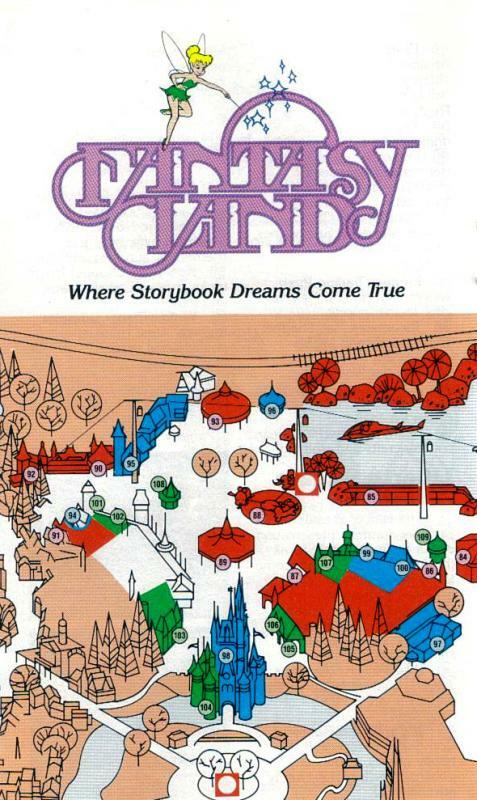 Huh, I guess guide books and guide maps may have changed over the years, but that simplistic feeling of joy can still be found in Walt Disney World. 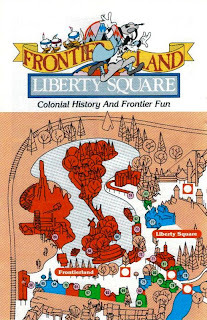 I LOVED those brochures! 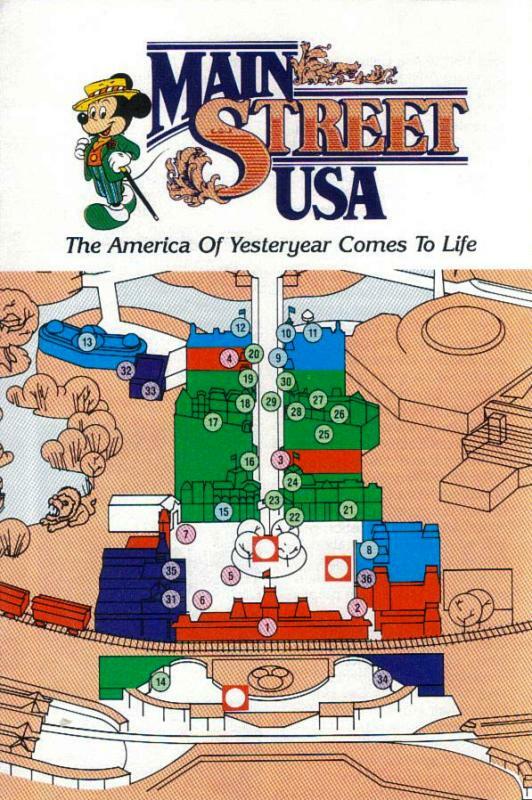 I can't believe I didn't save any of these from my trips in the 80s and 90s. I guess as a kid/teenager it wasn't high on my priority list, but I sure wish I had them now! Tim, these are some of my favorite pieces to look back at. 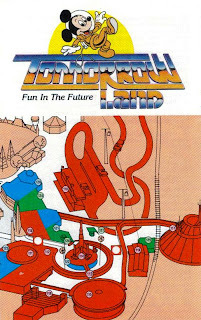 Sure, there have been changes to the parks that can be seen by looking back, but, honestly, they're just plain fun to peruse! 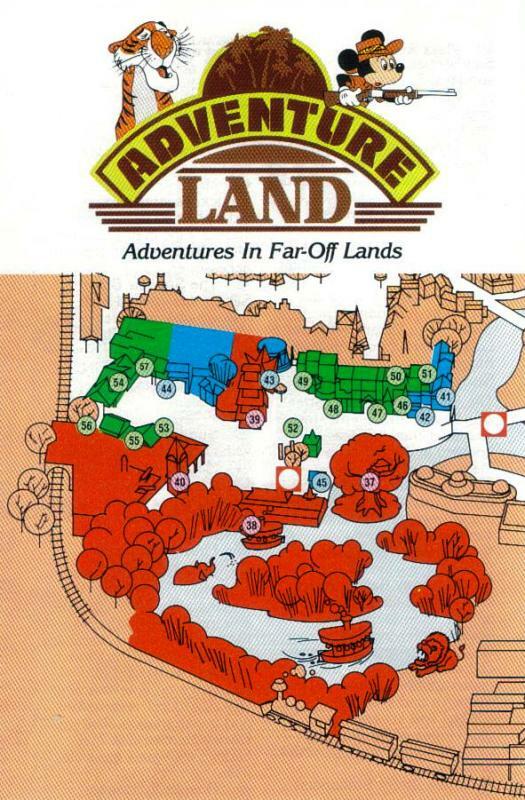 Beth, they're very different than today's guides, but I think both the maps from then and today are perfect representations of their time. I love that your son didn't believe that they were from WDW!